Daikin-North America, which owns Goodman and its subsidiary, the heating and cooling division of Amana, has broken ground on its $417 million dollar Houston area campus which is expected to add 2,800 jobs to the local workforce. Employment figures at the facility are expected to increase to 4,000 over time. Comfortplex, the name given to the upcoming three to four million square foot campus, is being constructed on an 80-acre lot near Highway 290, just three miles west of the Grand Parkway. It will be one of the largest and most technologically advanced HVAC (heating, ventilation, and air conditioning) manufactering facilities in the USA. This campus will consolidate Houston’s two existing Goodman plants (one which manufactures furnaces and one which manufactures air conditioners), as well as an existing Tennesee facility. The construction and opening of the Houston area plant reflects Daikin-North America’s commitment to reshoring American jobs (bringing manufacturing jobs which had previously been offshored back to American soil). As Daikin sees it, manufacturing its products here in the USA will decrease shipping costs, allow for faster deliveries, and improve the company’s support for its dealers. The economic feasibility of bringing jobs back to the USA has been facilitated by recent economic growth and lower unemployment leading to a greater demand for Daikin’s products. Consumers are now more inclined to replace aging air conditioners and furnaces rather than patch them up. An increase in new construction in many areas of the country has also driven the increase in demand for HVAC equipment. During the 2008 slump, Daikin-North America shipped 7.5 million new units for installation. In 2014, shipments exceeded 9 million units. 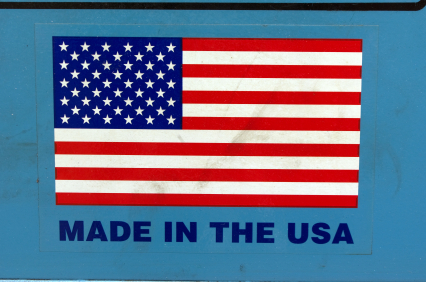 Manufacturing its air conditioning and heating equipment here in the USA is a three-way win for Daikin, the contractors who sell and install Goodman and Amana equipment, and consumers who prefer products made in the USA.